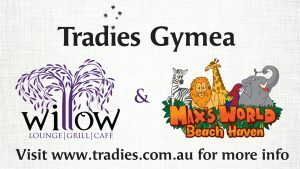 Tradies Gymea is one of the most spectacular venues in the Sutherland Shire for dining, special occasions, functions, sport and more. Catering for a range of dining experiences, we are committed to excellence in customer and culinary service across all our beloved all-occasion restaurants. From delicious chargrills in Willow Lounge Grill and Café, authentic Italian pizza in Leone and fusion Asian cuisine in Serendip, Tradies restaurants are perfect for long, lazy lunches, catch-ups, coffee dates or big family dinners. Max’s World Kids Club, Members Lounge, entertainment, exclusive member services and outstanding corporate, occasion and wedding event facilities are also available.